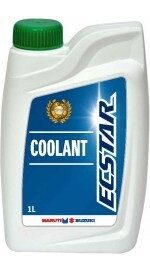 This product has been specially engineered for high performance-high efficiency Suzuki engines. Using unapproved brands of coolant may adversely affect vehicle performance. Drain the cooling system completely. Flush the system with soft water or any good quality radiator flush fluid. Pour coolant water mixture into radiator and expansion bottle till between the marks. Title – Synthetic heavy duty premium quality brake fluid. Usage – For automobile brakes and clutches ( to be used in accordance with Maruti Suzuki Vehciles Manual). Ingredients – Polyalkylene Glycol and Glycol ethers along with anti-corrosion and anti-rust agents. Specifications : Meets and exceeds FMVSS 116 DOT , JIS-K-2233 and IS 8654.. Follow vehicle manufacturer’s recommendation for usage. Maintain brake fluid level between max. & min. Levels in reserve tank. Keep brake fluid container clean & dry. Contamination of brake fluid with dirt, water, petroleum products or any other material may lead to brake failure or costly repairs. Store only in original container. Being a hygroscopic fluid, on ingression of moisture, its vaporlock will increase and boiling point will decrease which will make brake ineffective. 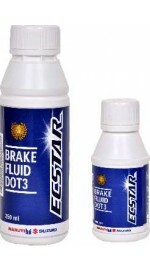 Warning : Avoid spilling brake fluid on brake lining and car paint. Powered by : Infipi Technologies.